JET Classic. Our famous Jet helmet is now available as well in a classic retro design. 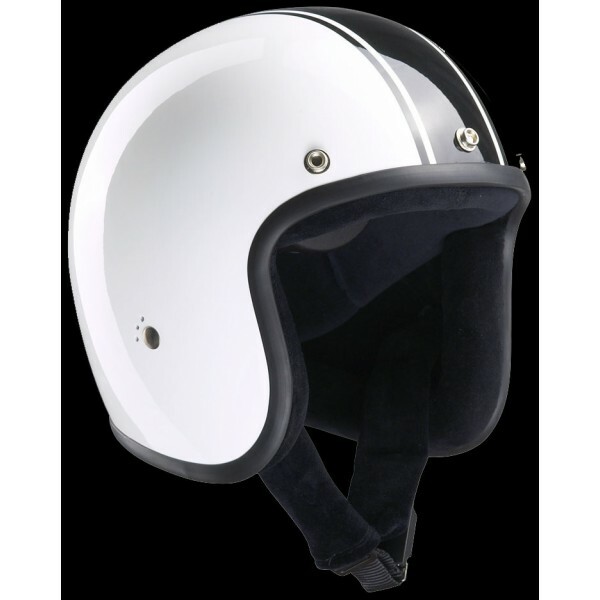 A superb choice for any sixties, seventies and eighties motorcycle but as well the perfect helmet for modern retro style motorcycles. Comes with a detachable black Sun peak and features a fibre glas shell and a quick-lock for the chin strap. All BANDIT Jet helmets do not conform to any current safety standart. Copyright © 2019 Cascos Bandit. Powered by WordPress. Theme: Ample by ThemeGrill.